If I plan to do anything else stupid, I’ll let you know. 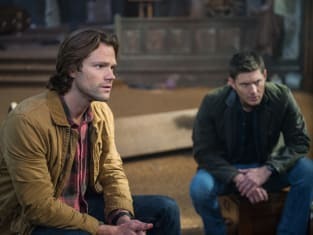 Supernatural Season 12 Episode 10: "Lily Sunder Has Some Regrets"
Permalink: If I plan to do anything else stupid, I’ll let you know. I’m sorry. I was wrong. While it’s true that I didn’t know we were killing an innocent, ignorance is no excuse. I truly can’t imagine the depths of your loss. This was your child. I can’t imagine the pain. So if you leave here and you find that you can’t forgive me, I’ll be waiting. Supernatural Round Table: A Satisfying Twist?